-the blood, the flesh, the organs and the myriad of ways in which it keep us upright & moving through life. -both our brilliance and our oppressions. -the very essence within that weaves its invisible web to curate our destinies. We are the sum of all of these parts, not one exists without the other and therefore, the medicine that we seek to heal one part of ourselves must have the capacity to support and heal them all. 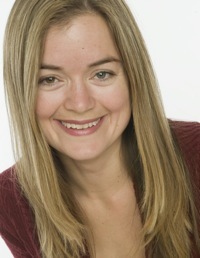 Dr. Ashley Abbs is a Registered Acupuncturist with the College and Association of Acupuncturists of Alberta, Canada and the owner of TerraSana Health and Wellness Centre where she educates and supports every patient to engage their own body’s innate healing ability to create a life led by their own design. Born out of her professional experience as a specialist of Fertility and Pregnancy and her own journey to honour all aspects of her healing repertoire, Ashley created the Embodied Alchemy Method and 5 Element Transformational Acupuncture to empower individuals to embrace their bodies wisdom, enhance their inner listening and empower their lives to achieve their truest life’s vision. Dr. Abbs graduated from the University of Calgary with a Bachelor’s Degree in Psychology in 2003 and completed her Acupuncture studies in 2006 when she graduated from the Alberta College of Acupuncture and Traditional Chinese Medicine as a Dr of Acupuncture and Diploma in Traditional Chinese Medicine. In 2008, Dr. Abbs was hand-picked by Randine Lewis, author of The Infertility Cure and The Way of the Fertile Soul, to be trained by her and Join the Clinical Excellence in Fertility Professionals (CEFP) . She became the First Fellow of the American Board of Oriental Reproductive Medicine (ABORM) in Alberta in 2010. She also had the opportunity to work with Lori Dechar author of The Five Spirits and complete a yearlong Five Element Alchemical Healing Mentorship in 2011. When not hanging out with her two favourite men, she loves to cook, dance, paint, do Pilates and walk her Puggle Lady Lily. She shares her take on her life as mom, entrepreneur and all things 5 elements, women’s health & spirituality through stories, tips, and inspiration over at www.ashleyabbs.com. Kathyrn Simmons Flynn, B.Ed. RYT. Nutrition consultant Kathryn Simmons Flynn, B.Ed is an educator and adviser on the healing benefits of whole foods. Trained by Paul Pitchford, author of Healing with Whole Foods and working extensively with Dr. Randine Lewis, author of The Infertility Cure and the Way of the Fertile Soul, Kathryn has become the premier and export on nutrition to optimize fertility and pregnancy. She has developed the Fertile Soul’s integrative nutrition program for reproductive health. Kathryn uses both Western and Eastern Nutritional therapies in a three-tiered approach that guides her clients to greater levels of health, both emotionally and physically. By incorporating delicious whole foods with regular exercise and relaxation practices, she creates individualized nutrition and meal plans that motivate her clients to stay on track and achieve their desired results. Kathryn is the author of Cooking for Fertility: Foods to Nourish Your Fertile Soul, a cookbook intended to help men and women find reproductive balance through asian dietary techniques. She has filmed Cooking for Fertility DVD, to share practical tips on how to cook for fertility and recently launched her Fertility Moontime Tea, a blend of relaxing herbs to support reproductive function and enhance fertility. Consultations and Appointment with Kathryn done by phone and skype. To Book Your appointment Click Here.